Decadence comes in many forms. But for some of us, decadence might take the form of a large sprawling home in a lush locale with generous entertaining areas and a comfy, rustic soul. Of course, it helps if there is a huge outdoor pool, swaying palm trees, a sauna, wine cellar and even a second outdoor kitchen! The home we will explore has all this and more. 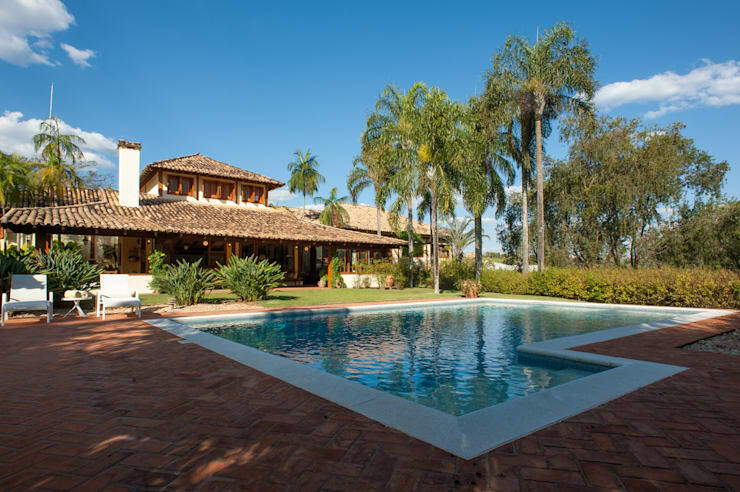 It is a palatial tropical home located in São Paulo, Brazil and it comes to us courtesy of PM Architecture. The interiors have a variety of wood, brick and stone finishes and the colour palette is decidedly rustic. 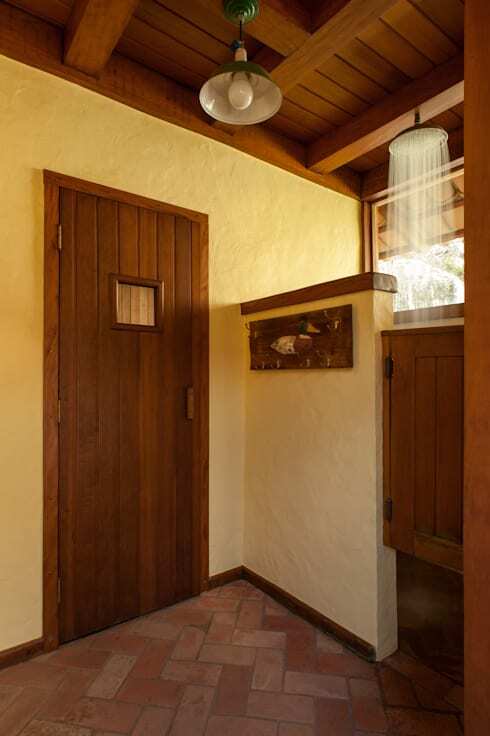 This is a home where natural textures have been embraced and there is scarcely a polished finish in sight! The home is set in a stunning tropical locale with an abundance of existing vegetation and lots of privacy. As we can see here, the home has an open, sociable feel. The large wraparound veranda covers a large outdoor entertaining area and the second level has lots of windows looking out onto the garden. The large family pool has natural shade from the surrounding foliage. It has ochre red brick paving and blends exquisitely into the natural surroundings. The natural beauty of this area has been allowed to shine and there are just a few, sparse and unobtrusive pieces of outdoor furniture. The outdoor entertaining area we saw earlier is partially integrated with this outdoor kitchen and grill. 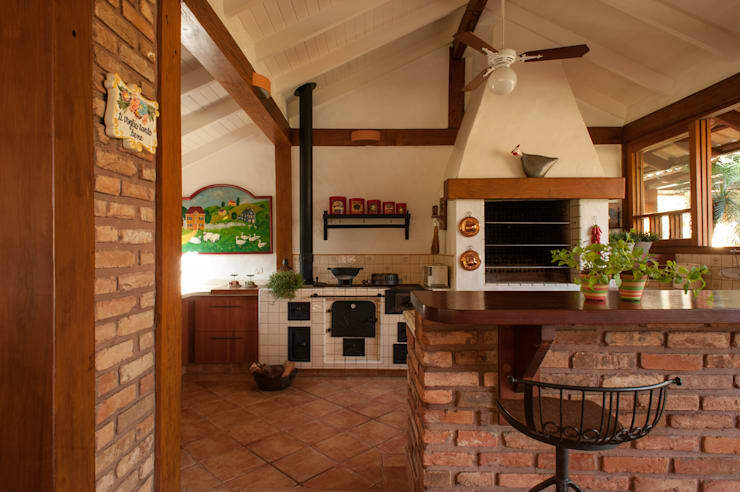 The exposed brick walls, wooden beams and wood-fired oven give this rustic kitchen a raw, earthy feel. Note the older style blackened iron accessories directly in front. A large luxurious property like this would often have an impressive living room. 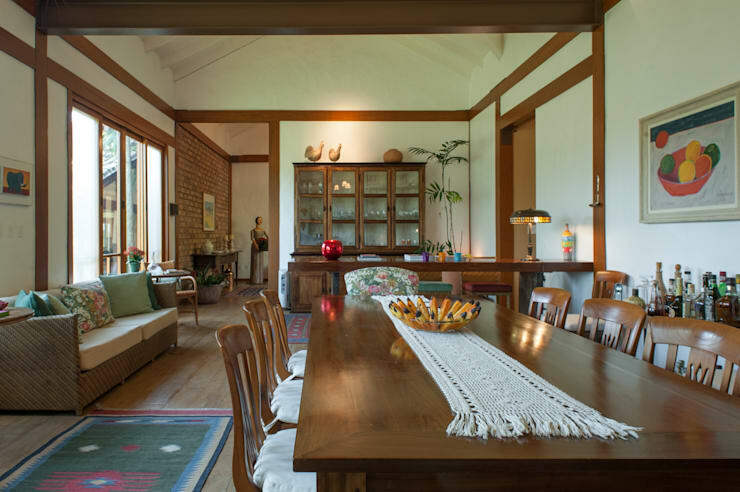 But here, the accruements that impress have been left behind and the comfy, cosy feel of family style reigns supreme. This cosy living room look has been created with the combination of different patterns in the tartan chairs and ethnic rug. 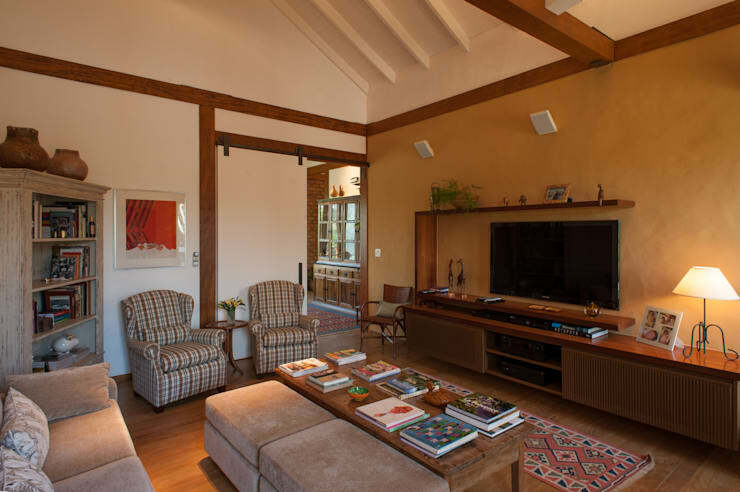 The exposed wooden beams, wooden furniture and soft textures of the beige sofas complete to the look. Any large family home built for entertaining needs a large dining table. Of course, the perfect dining table is made from wood too. Here we have both, and the simple beauty of the wooden dining table finish adds a generous feel to the space. If you are going to feed an extended family, you'll need a large kitchen with all easy contemporary features. 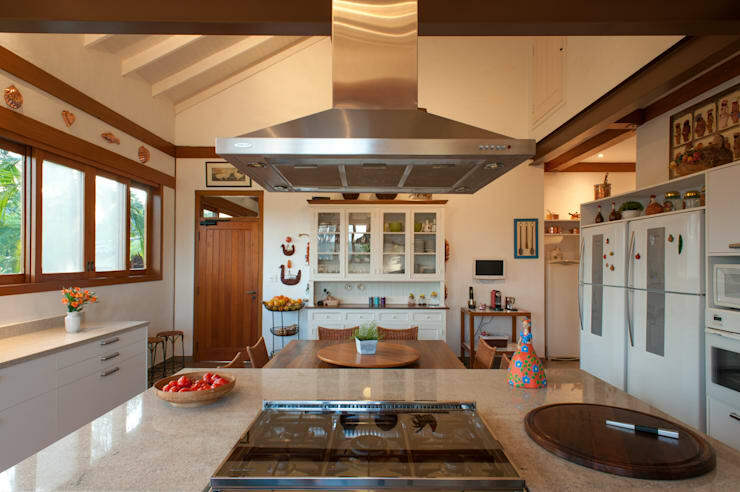 Here we have the perfect contemporary rustic kitchen for the task. There are two sets of refrigerators on the right, a large extended casual eating area and lots of preparation space. Finally, we have a classic kitchen dresser that adds an old-world traditional look. Great wine has an integral place in many South American cultures. 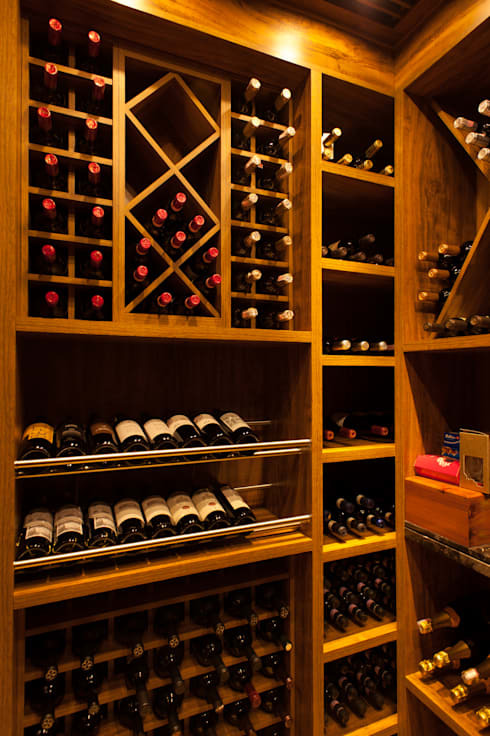 So a wine cellar is an important part of a luxurious family home! Here we can see the small wooden wine cellar with lots of options for storing good quality wine. 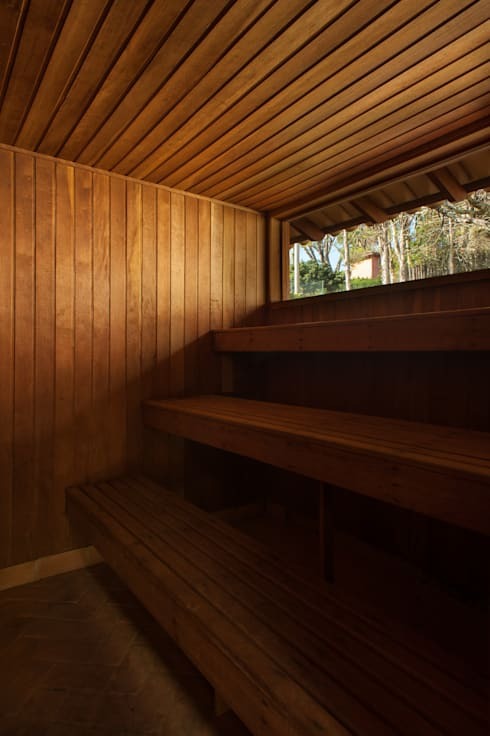 This wooden sauna looks just perfect to us. It is cosy and offers a glimpse of tropical life outdoor. Who knows, you might just pop in and out for a refreshing dip in the pool afterwards! 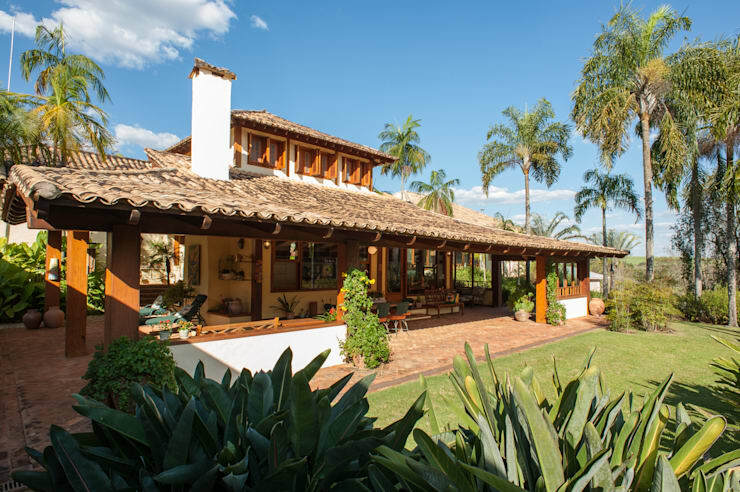 If you are developing a taste for tropical luxury, we also have A palatial summer home in the tropics to get you hooked! What do you think of the rustic luxury in this home? We would love to hear in the comments field below!